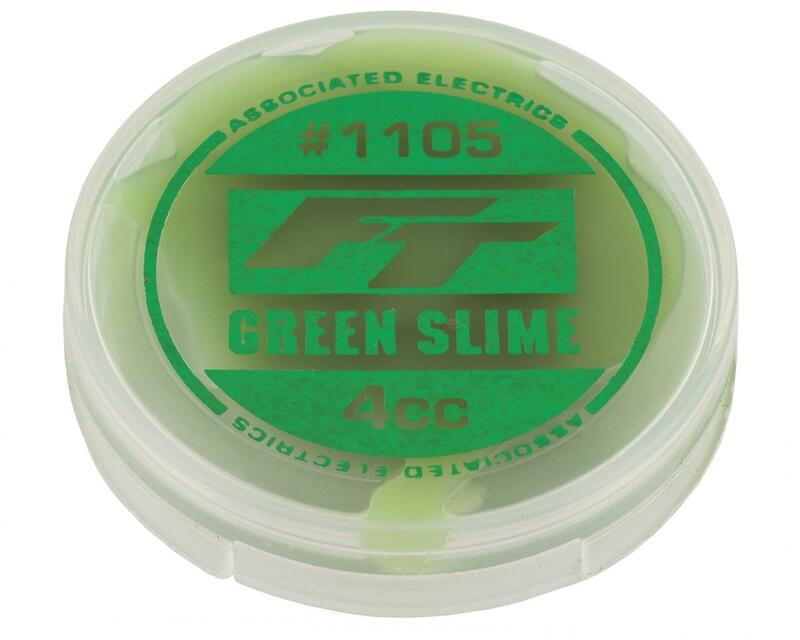 This is Team Associated's Factory Team Green Slime shock O-ring grease. This is a specially formulated grease that provides a better seal between the shock shafts and the shock O-rings to help prevent shock oil leaking from the shocks, as well as provide smoother shock action. Green slime is the old standby, I believe the first product to seal and protect silicone o-rings in the RC world. Still as good as many of the o-ring lubes available. Green Slime appears to be repackaged Noleen SF-3 High Performance Suspension Grease "formulated to reduce static and sliding friction..."
Same exact color, smell and texture only you can get a 2oz. tub of SF-3 for $9.99. 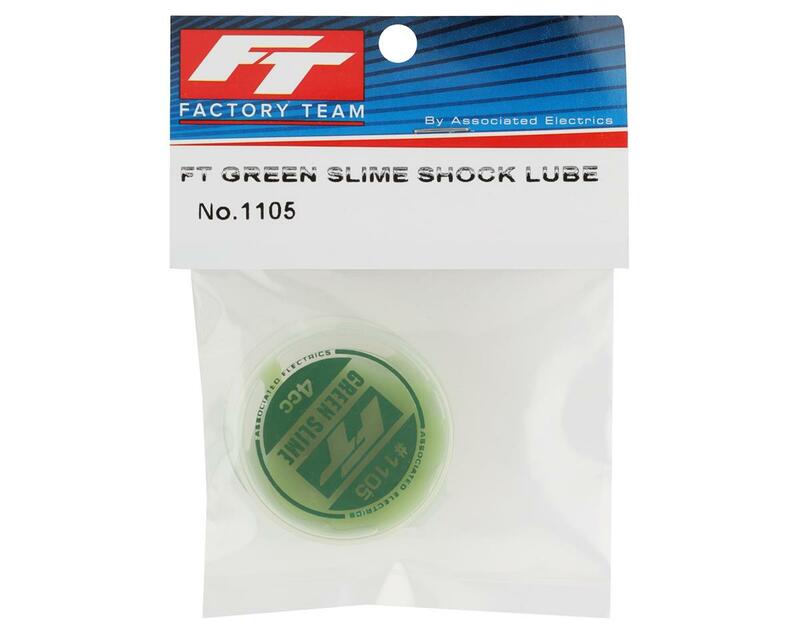 I believe Cliff Lett was the first to use this stuff on rc car shock o-rings as he was a former Motocross mechanic for a factory team before joining AE in the late 80s, so I am 99% sure Green Slime is unaltered Noleen SF-3 sold in tiny little tubes! This is not intended for use with nitro engine applications....it is meant to be used with shock o-rings, nothing else. I bought this to build the shocks on my TLR nitro buggy. Great stuff, probably will never use even a quarter of the tube. Maybe after 100 brand new shock builds you may use half the tube, MAYBE. Worked like a charm! I added this to my Factory Team kit order when I placed it and was satisfied with the results. Yes, you can use shock oil in place of this stuff, but It's a small price to pay for a lubricant that really does work. I would added it again in a heartbeat if I was building another kit. Amazing job from AE. If you want your shocks to feel like butter, then this is what you need! I run everything Associated, so I run the big bores with the low friction o rings...this stuff makes it feel even better! A must for having your shocks feel good and consistant and keep you in the A-MAIN!!!! Is that why they call this place A Main Hobbies...hahah!! A must have for building shocks and diffs it helps o rings last forever. Use it to seal your engine up around the back plate and carby!! Great stuff.